Pedro Munhoz isn’t surprised that he’s facing Cody Garbrandt next. Munhoz vs. Garbrandt will take place on March 2 at UFC 235. 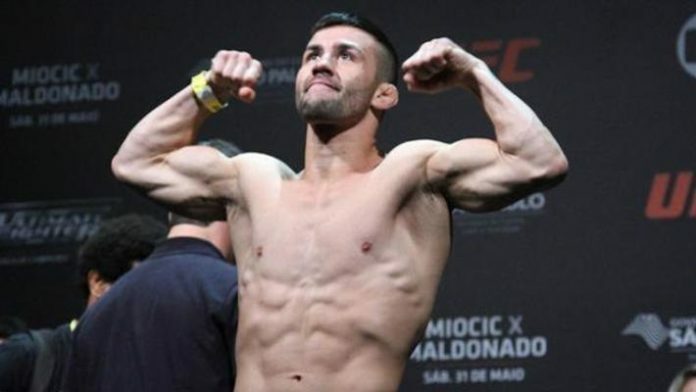 It’s a huge step up for Munhoz as he’ll be taking on a former UFC bantamweight champion. Munhoz has gone 6-1 in his last seven outings. UFC 235 is expected to be headlined by a light heavyweight title bout between champion Jon Jones and Anthony Smith. The planned co-main event is Tyron Woodley defending his welterweight gold against Kamaru Usman. Stick with MMA News for the latest updates on UFC 235. Do you think Pedro Munhoz can stun Cody Gabrandt and hand him his third straight loss?